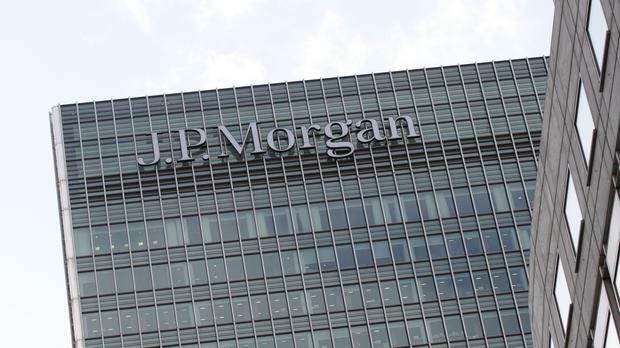 European Union regulators have fined banks JPMorgan, HSBC and Credit Agricole a combined 484 million euro (£411 million) for colluding to manipulate the price of financial products linked to interest rates. EU antitrust commissioner Margrethe Vestager said the banks illegally exchanged sensitive information and colluded to take profit in the market on the specialised financial products. The EU fined JPMorgan Chase 337 million euro (£286 million), France's Credit Agricole 114 million euro (£97 million) and London-based HSBC 33 million euro (£28 million). Three years ago, the antitrust regulators levied fines totalling 1.04 billion euro (£851 million) on Barclays, Deutsche Bank, RBS and Societe Generale as part of the same case. The case covers manipulation of financial contracts linked to a benchmark interest rate called Euribor in the period 2005-2008.